Selected “Best Of Houzz” 2016-2019. “Best Of NJ House & Home” 2015-2018. Featured in Princeton Junior League Showhouse & Gardens 2006-2012. Ronni Hock is a seasoned professional landscape designer whose work is highlighted in Princeton Magazine, Design NJ and Great Backyards. After 10 years of transforming properties throughout Mercer, Hunterdon, and Bucks counties, she created Ronni Hock Garden & Landscape, LLC in 2004. Services include complete design and installation of landscape, gardens, container gardens as well as eye-popping patios, terraces, pathways, stone walls and lighting features. Our landscape architect and installation teams combine for over 40 years of award-winning results and customer satisfaction. Distinctive landscaping, exceptional hardscaping and inspirational gardens that are very affordable. 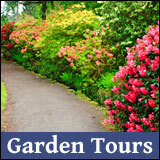 Virtual tour: www.ronnisgarden.com or call 609-844-0066 today.